I couldn’t resist sharing with you how I take the “Word” with me as I travel through God’s wild outdoors. 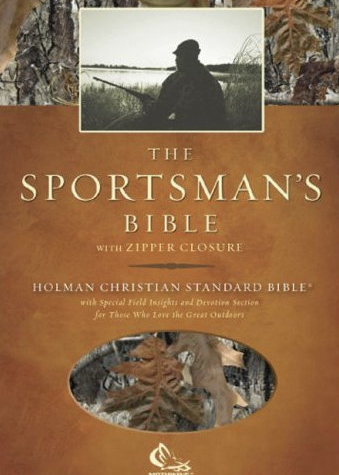 Several years ago a friend of mine Harold Coy from Jupiter, Florida gave me a copy of, “The Sportman’s Bible“. I’ve carried it with me everywhere, including every time I hit the woods, the blind, the stand, and the trail. Several of our compradores in the outdoors including, Jimmy Sites, Jason Cruise, Julie Schuster, Jay Yelas, Jim Strelec, Rob Keck, and Charles Sorrells of Harvest Calls, Inc.have devotional thoughts in the back of the Bible. As I walk through God’s wild outdoors He often brings me back to His Word, the Bible to remind me that He is the Creator of all that I enjoy. 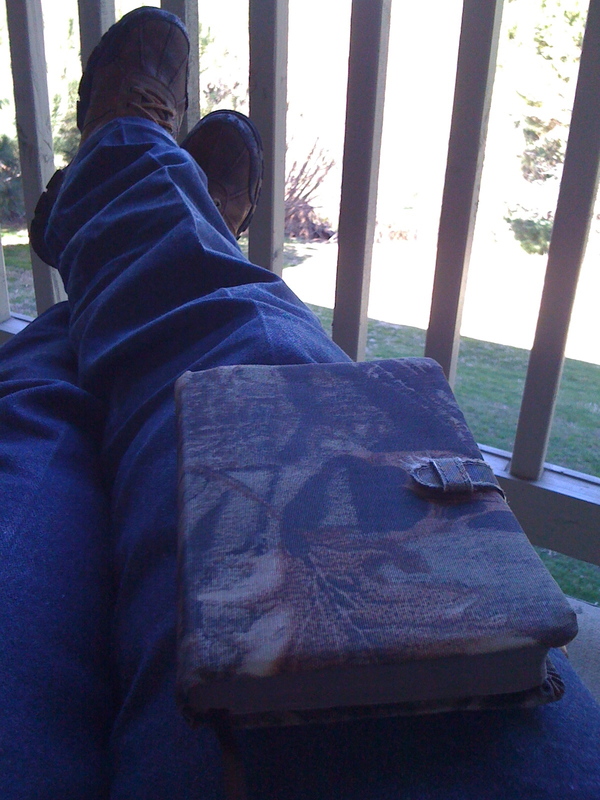 Many times while hunting, fishing, or hiking, I pull out my pocket Bible and read a few pages. It connects me with God on an entirely new level. You might also consider YouVersion’s online bible for smartphones if you are interested. It has several versions to choose from. 8 And don’t for a minute let this Book of The Revelation be out of mind. Ponder and meditate on it day and night, making sure you practice everything written in it. Then you’ll get where you’re going; then you’ll succeed. Next time you hit the trail, woods, river, blind, or stand. Take the WORD in the woods with you. You will connect with God on an entirely new level.